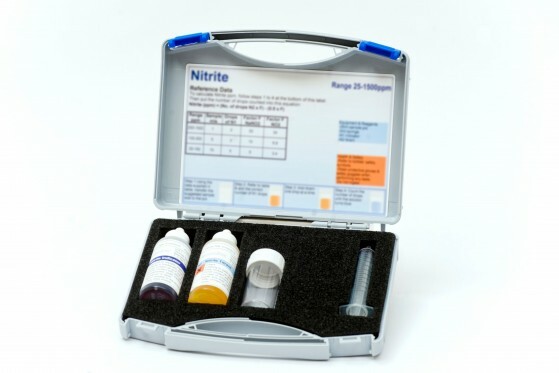 Our Nitrite kit includes all the equipment & reagents required to measure Nitrite levels within a range of 25-1500ppm. The kit includes a sample pot and syringe to perform the tests. Places to monitor Nitrite: Use this kit in systems to monitor the Nitrite levels commonly found in corrosion inhibitors for closed systems. If you want to use it in a Closed System have look at our Engineers Test Kits we also have available in our Engineers System Specific Test Kits section. Inhibitors levels are also monitors as part of BG50.